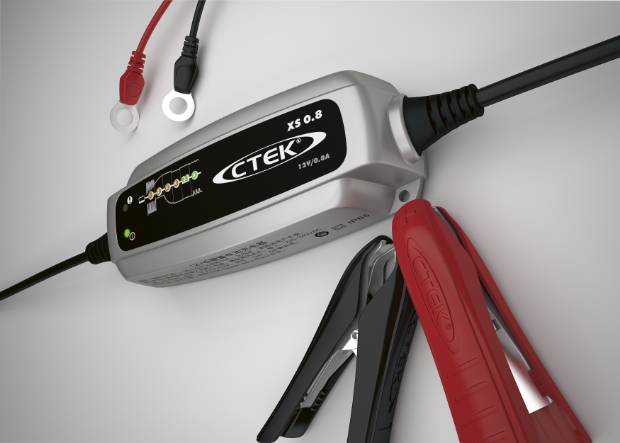 The XS 0.8 is great for motorcyclists and other small batteries on various machinery. Perfect if you plan to keep the charger connected for several days / weeks / months. 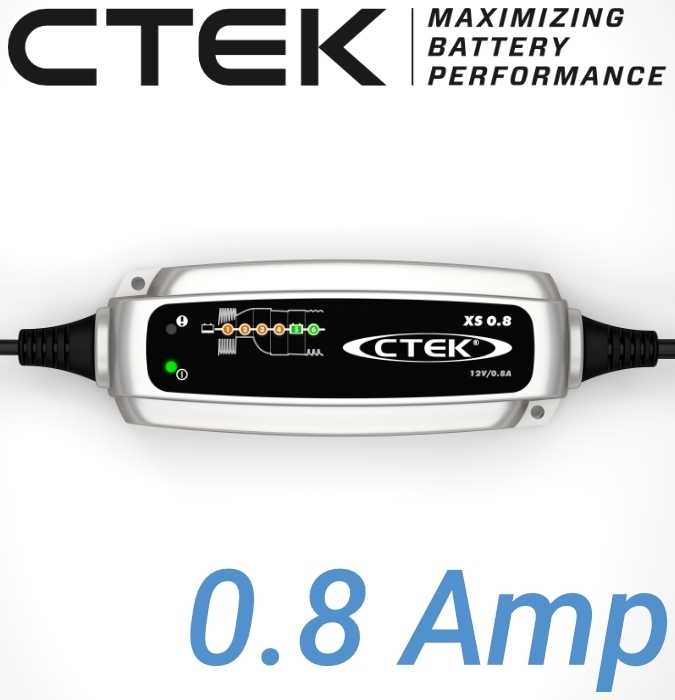 We do not recommend this charger for car or leisure batteries. 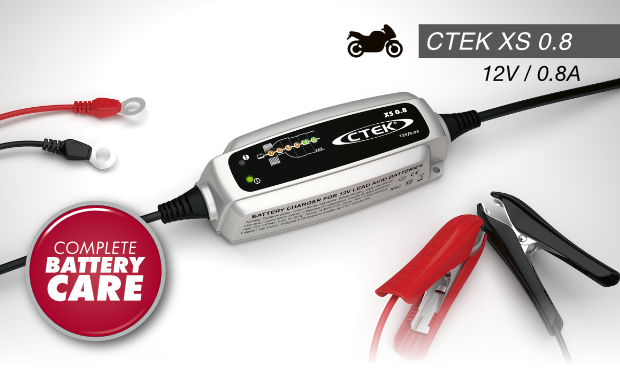 Not recommened for bikes with alarms or immobilisers (unless the battery is removed from the bike to be charged).